Ray was at the vet clinic yesterday for his annual checkup, and some preventive meds to keep him healthy. From his perspective, he went to see Natalia, who gives him really good treats. He was not too impressed when we all rolled him over so that blood could be taken, but he is very forgiving … especially as Natalia gives him even more treats afterwards. He even tolerated her checking his heart, teeth, ears etc! North Oakville Animal Hospital was an excellence choice of vets for our beloved Ray. Ray introduces us to the nicest of people! 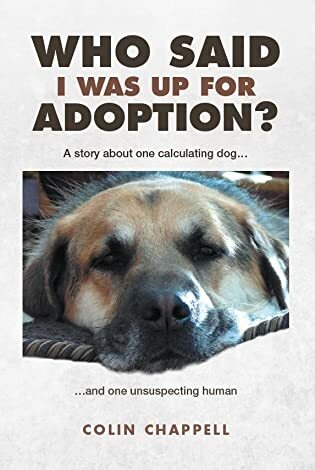 Anyway … I took advantage of their promotion and introduced Ray’s book, which covered his heartworm treatment in great detail, with the Friesen Press Bookstore link below (it is also available from all the usual on-line book stores). You guys are media stars! Good for Ray for helping spread such an important message! What a great picture! I’m glad you had a chance there to promote the book. I really glad Ray made it okay through that time. I hope you win the contest. You both look very excited about it. Although Ray probably just wants more treats. LOL! Yes, that fits better. A noble looking hound and clearly a beautiful soul, too. He never takes a bad picture! I can imagine, Colin. It feels tremendous when things work out, no? Much love to the two of you.